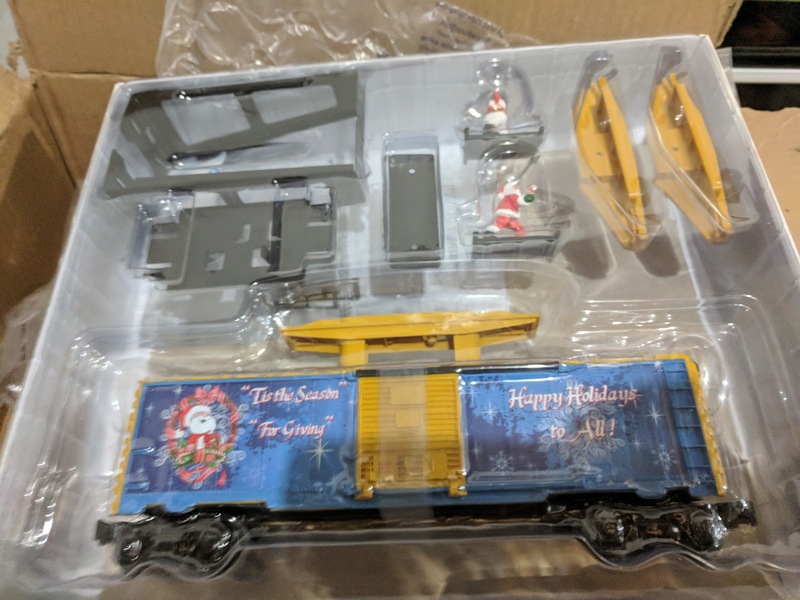 The folks at TrainWorld just shipped a few of my 2017 Christmas Catalog pre-orders including this one: the 2017 Santa and Snowman Tag Boxcar. 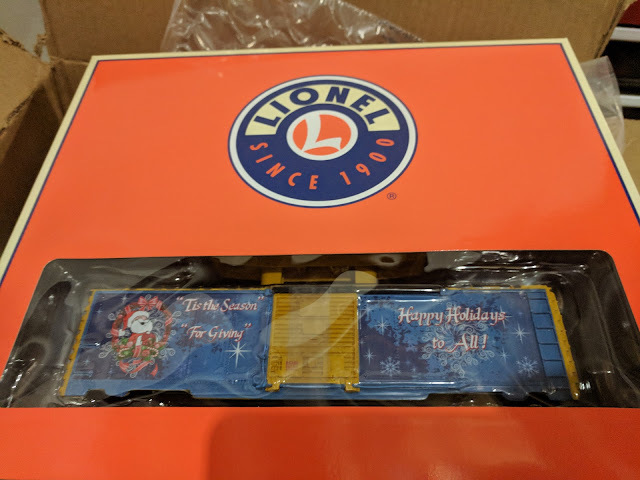 The box is not a normal O Gauge train box from Lionel, but a two piece top/bottom orange box. The front of it only reveals the blue boxcar. But once you open it up? That's the boxcar with the platform on top, Santa, Frosty and the 'bridge' that you put up for the boxcar to pass under. 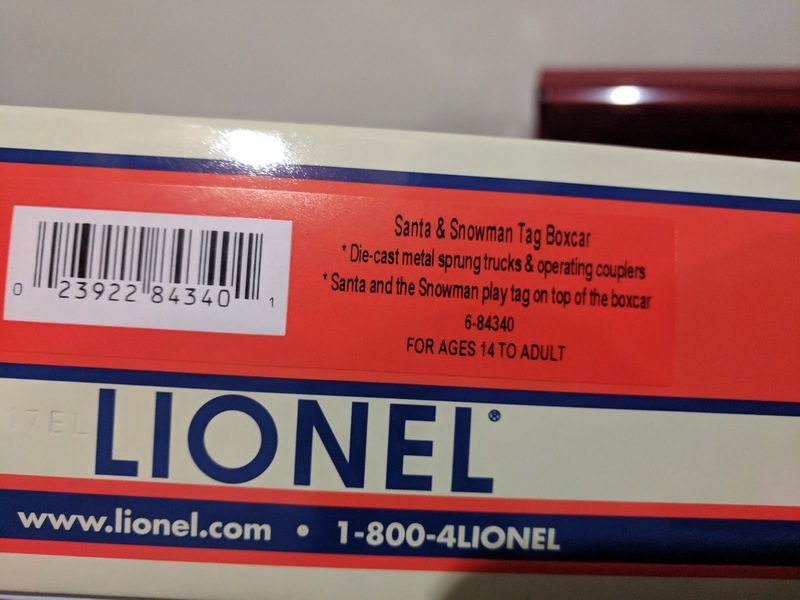 Here's the side of the box with all the product details. I haven't set up our track yet, nor can I find this year's model being run on YouTube, but I *did* find this older version that gives you a sense for how it works. Kinda cute, right?